I love giving my kids’ teachers a little something at the beginning of the school year, and my kids love it too. It’s never anything big or fancy, just a small token of our appreciation, and to show them how much we are all looking forward to the school year. 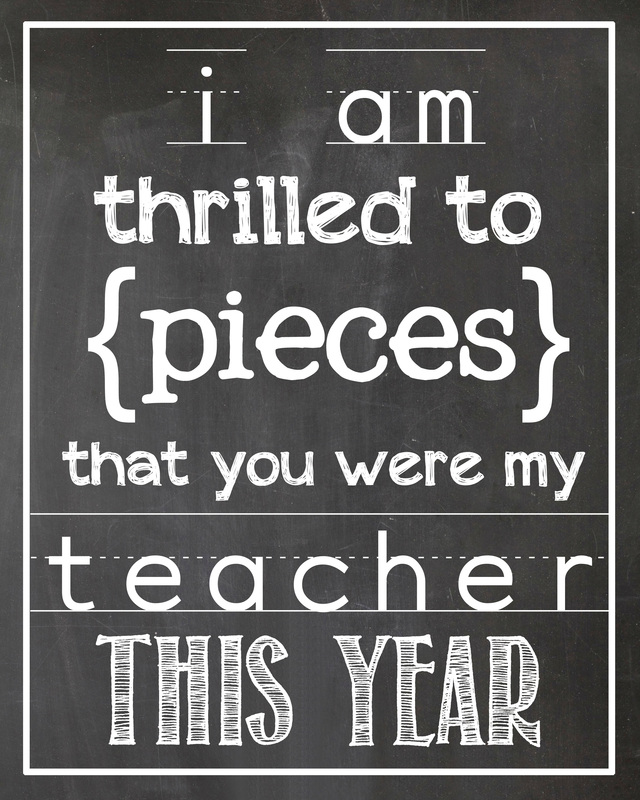 I actually made this fun “Thrilled to Pieces” Teacher Gift at the end of the past school year for my kids’ teachers, but I went ahead and made a tag for the beginning of the school year so I could share them both with you! This is SO easy to put together! I filled a mason jar mug with Reese’s Pieces, then tied on the cute tag. I stuck in a orange chevron straw, and added a cute chalkboard flag with my girls’ names on it. When I gave it as an end-of-year gift, I also stuck a gift card into the candy. Yep. Super cute. Super easy. If you’d like to make the straw flag, download the chalkboard image below. Open it in pic monkey, and use the Penmanship Print font (download it for free first) to create your names. Place the text towards the far right, leaving a little room on the end to make the points. Save it to your computer, then insert it into Word, re-sizing as necessary. Print it, cut it out, fold it in half, then cut a triangle out of the ends to make your points. Use double stick tape to attach it to the straw. Or…you can just leave the straw plain and sign names to the back of the tag! You can either click on one of these links and download the pdf files, then print onto white card stock, or if you want the tags to be a specific size, you can save one of the images below to your computer. Then you can insert them as pictures into Word, click on the image, and re-size as desired!!! This is adorable!! I am wondering if you would ever consider doing the “other side” of this, as I am a teacher and would just love giving this to my students at the beginning of the year. I’m probably going to give it a try, but it won’t turn out as cute as yours! Thanks for all the creative fun you share! Hi, Sally! Yes, I would definitely consider it! When does your school start? If you can, that would be great! Sounds good! I’ll send them soon!! Cute! Cute! I’m a retired teacher. Parents like you are soo appreciated! Gayla, I’m so happy to hear that!!! Thank you! Which grades did you teach? 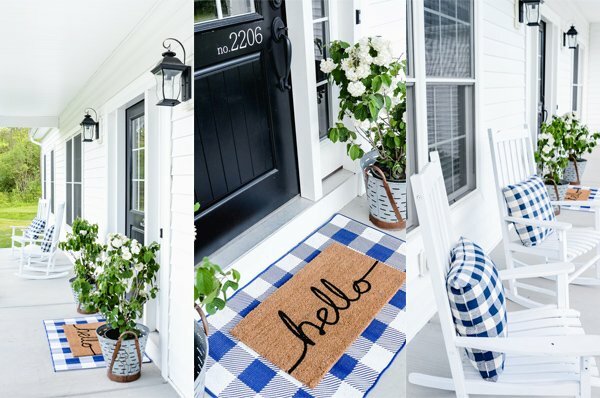 This project is adorable! I’m making them for my kids’ new teachers right now. Thanks so much for the great idea. Hi Kierste, I’m curious about Caroline. How is your little peanut doing? I’ve been checking your blog and Instagram for updates, I finally decided to ask. Hi Kierste! First of all, I LOVE your site and am so thankful for all of the fun ideas you share!!! You are a lifesaver to those of us wanna be crafty people who, unfortunately, aren’t as imaginative and creative as you are!! 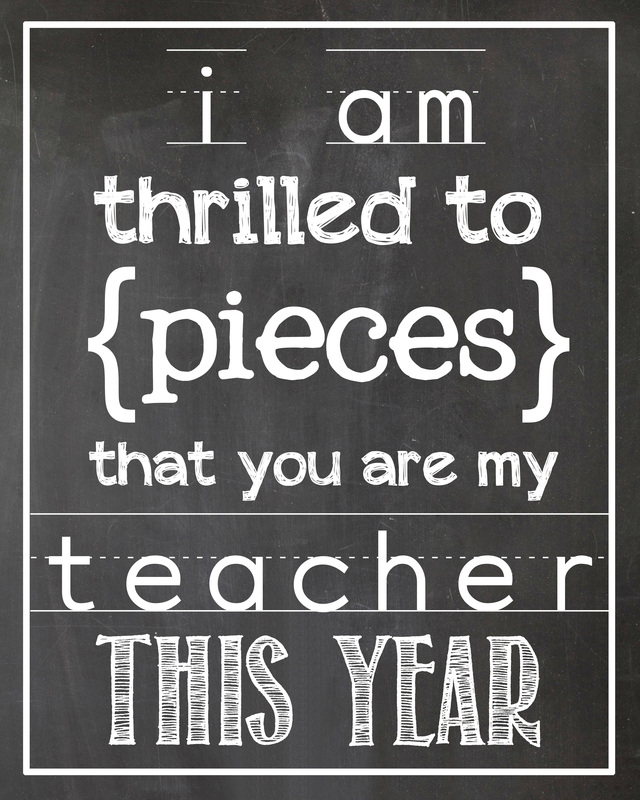 =) I just tried to print off the “I am thrilled to pieces” tag and for some reason the writing didn’t come out white. Is there a special setting I need or something for our printer? I am in love with the idea and would love to make this for my son’s first day of preschool next week! Hello, Becky!! Let me say how much I appreciate you as reader, and coming back to read!! I love sharing, and it makes it worth it when I get comments like this. :) I’m so sorry the tag isn’t working for you. How is it printing? If it’s not white, what is it? What are you printing on?